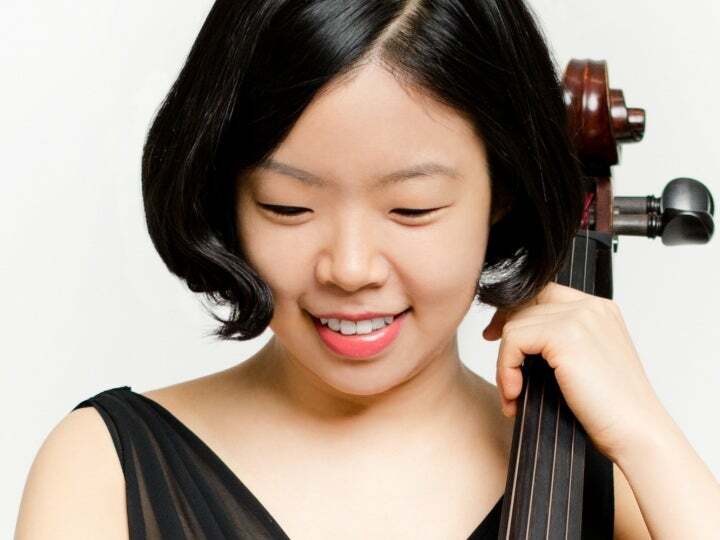 Cellist Hyewon Kim joined the New Jersey Symphony Orchestra in the 2015–16 season. She has made appearances in various concert venues including Alice Tully Hall, Carnegie Hall, David Geffen Hall, the Korea Society and Merkin Concert Hall. She has recorded with Gil Shaham and Sejong Soloists as part of Shaham’s 1930s Violin Concertos project released on Canary Classics. She has been invited to perform as a guest artist with Ars Antiqua de Paris and at New Year’s Eve concerts hosted by Korea’s Munhwa Broadcasting Corporation, and she was featured in the Japan-America Institute for New Music concert and the Young Musicians Concert of Chamber Music Society of Lincoln Center. She performed in the New Juilliard Ensemble, as well as the New York String Seminar Orchestra under the direction of Jaime Laredo. She has served as principal and associate principal cellist of the Juilliard Orchestra under the batons of Emmanuel Villaume, Alan Gilbert and Itzhak Perlman. Kim appeared as a soloist with the Busan Philharmonic Orchestra, performing Brahms’ Double Concerto at age 13. She also performed Dvořák’s Cello Concerto with the Lehman Symphony Orchestra and Elgar’s Cello Concerto with the Eastern Connecticut Symphony Orchestra as a winner of the ECSO competition. The Day described her performance of the Elgar concerto as “spellbinding” and “mesmerizing.” As a recipient of the Jack Kent Cooke Young Artist Award, she has appeared on NPR’s “From the Top.” She has also received various awards, including the Seolbong Scholarship awarded by the Ryu Foundation and Korean Honor Scholarship awarded by the Embassy of the Republic of Korea. Kim has performed with various artists such as Frank Huang and Paul Watkins, and she has worked with Toby Appel, Eric Bartlett, Ani Kavafian and members of the Juilliard String Quartet and Ying Quartet in her chamber music and orchestral studies. She has performed in masterclasses given by Anner Bylsma, Jeremy Denk, Frans Helmerson and Daniel Müller-Schott. She has attended Bowdoin International Music Festival as a performing and teaching associate, Sarasota Music Festival and Tanglewood Institute, and she served as a member of the cello faculty at ArtsAhimsa Music Festival. Kim has engaged with her community in concerts at hospitals, churches, art galleries, libraries and schools, as well as at the United Nations General Assembly and benefit concert for building water wells in Kenya. A native of South Korea, Kim was born into a family of classical music lovers. After learning violin, flute and piano, the deep sound of the cello fascinated her when she was 10. After winning numerous national competitions and engaging in other musical pursuits in Korea, she was accepted to the Juilliard Pre-College Division. Kim has studied with Timothy Eddy, Darrett Adkins and André Emelianoff; she holds Bachelor of Music and Master of Music degrees from The Juilliard School. Kim is a faculty member at New York Music School and has served as a chamber music coach in the school’s Intensive Programs directed by Hyo Kang. EARLY MUSICAL INFLUENCES: Cellists Mstislav Rostropovich and Yo-Yo Ma and violinist Sarah Chang. I think my musicality has been largely influenced by listening to their recordings when I was younger. They were always playing in my house! MOTIVATION: Getting to play so many magnificent masterpieces of classical music. MUSIC IN THE MOMENT: At a summer music festival, I got together with my friends one evening and read the third movement of Schumann’s Piano Quartet, which is one of my favorite pieces. We were feeling the music together and communicating through it, and we were all smiling at each other. Everything seemed so perfect. It was one of my most unforgettable musical moments. The feeling you have when you connect with people through playing music together is inexplicable. It’s so deep, wonderful and precious that it’s beyond what words can describe. FAVORITE PASTIMES: I love watching nature. It is always new and always magnificent; it makes me overjoyed, inspired and refreshed. My violinist sister and I sometimes play our old duo repertoire for fun! CLASSICAL FAVORITES: Some of my favorite pieces of music are the second movement of Dvořák’s “American” String Quartet, fourth movement of Fauré’s First Violin Sonata, second movement from Ravel’s Piano Concerto and the Andante of Bach’s Violin Sonata in A Minor.